Launch the app and allow the Albums! app to access Apple Music and your media library. There is no account to sign-up for so no new password to remember. Adapting the box-concept, Albums! 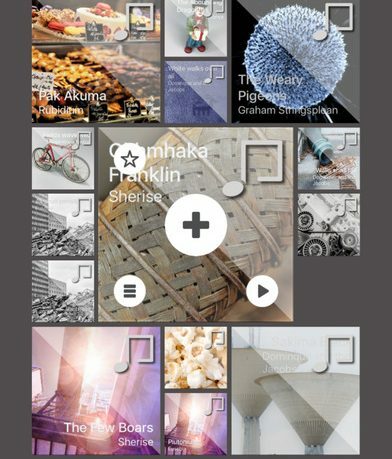 will then organize your music into boxed categories. 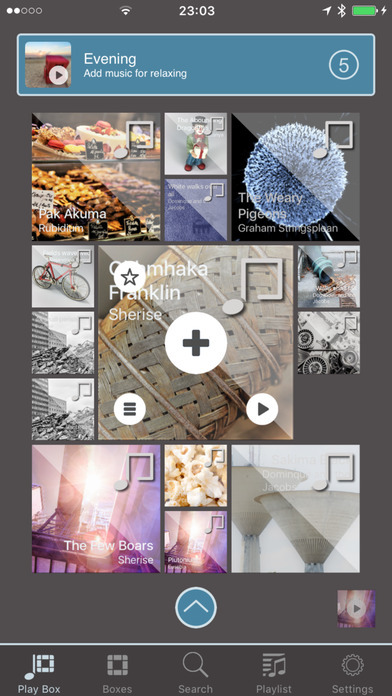 Just tap Boxes to classify your music with Auto Boxes filling itself automatically. Auto Boxes include options constructing boxes of songs in time and location with location for the app turned on. Control playback right from the app with options to skip ten seconds at a time or an entire album. As you listen to songs you can tap the star in the Fun Player to mark your top listens. When first hearing the description of this app, you might think it is basically a playlist creator. Though making playlists is also available, how this app really differences itself is with the Auto Boxes. Instead of the user creating all of the lists, Albums! tracks where and when you listen to songs. For instance for those songs you listened to at the gym, it automatically creates you a workout music mix. Or a box that will collect all of the songs you have listened to for the year. Another feature I really like in Albums! is the ability to save YouTube videos. Great for marking music videos you really like and adding to your music library. This is limiting to videos that YouTube allows access by third-party apps, but I did not run across any that wouldn’t allow me to add them. Some nice 3D Touch short-cuts are thrown in as well for sharing albums or instantly playing your top five. The navigation is a little difficult to get used to at first and I recommend reading the hints and even enabling the tool tips in the settings menu until you get the feel of how it all works. Overall Albums! is a unique app for sorting through mass music libraries with an abundance of features and seamless playability. The app is available now in the App Store for $2.99.